My name is Architect A. Mohammed. 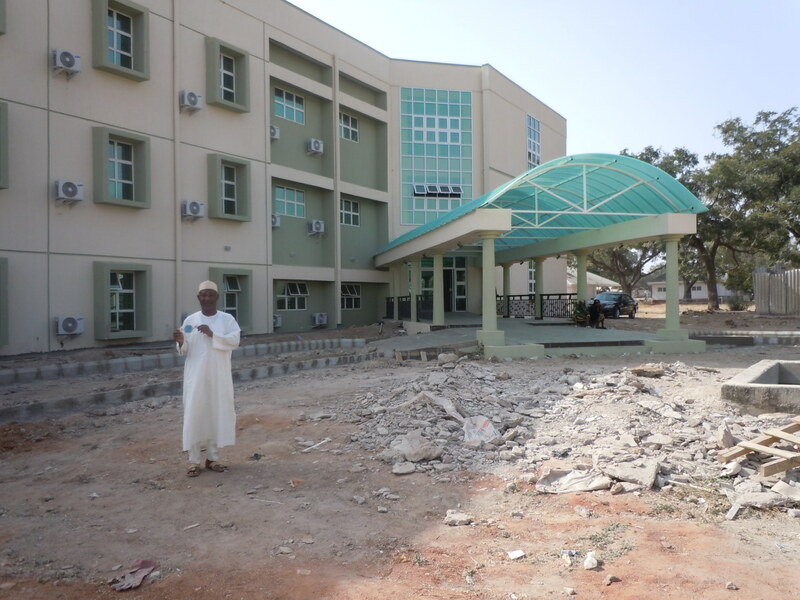 I am an architect in Bauchi Nigeria. Here I stand with Mr. Globetrotter in front of one of the buildings I designed. In the subsequent pictures I will take Mr. Globetrotter to visit some Nigerian villages to see how people live their peaceful lives using available resources. 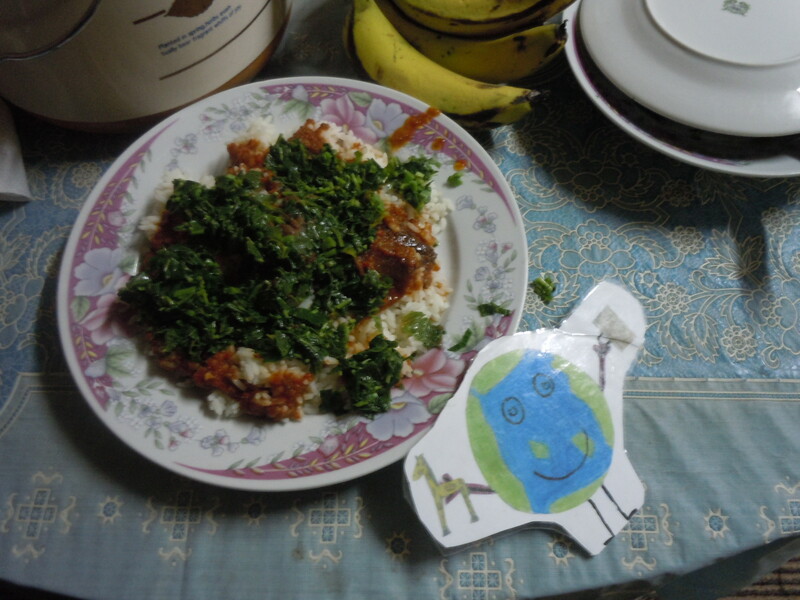 A delicious Nigerian meal of rice, tomato stew and green leaves. 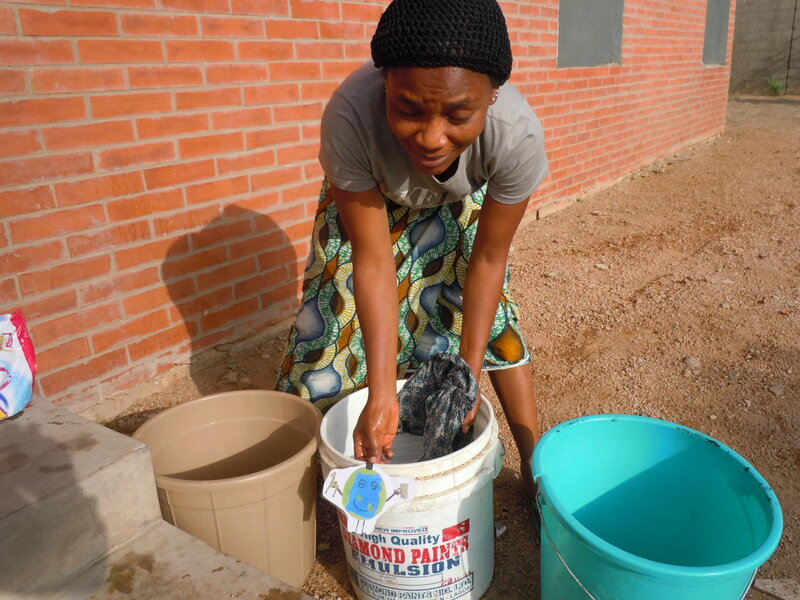 Sometimes municipal water supplies are unreliable in Nigerian villages. The people rely on water from a well such as the one shown below. Mr. Globetrotter helps someone get water out of that well. Mr. Globetrotter also helps us do some laundry the old-fashioned way. 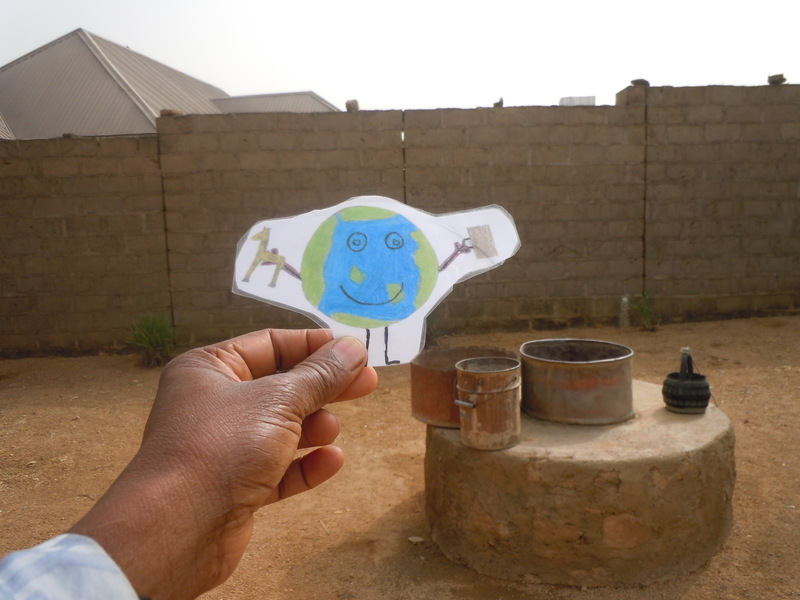 Mr. Globetrotter visits a typical Nigerian fireplace where water is boiled – for bathing and other activities. 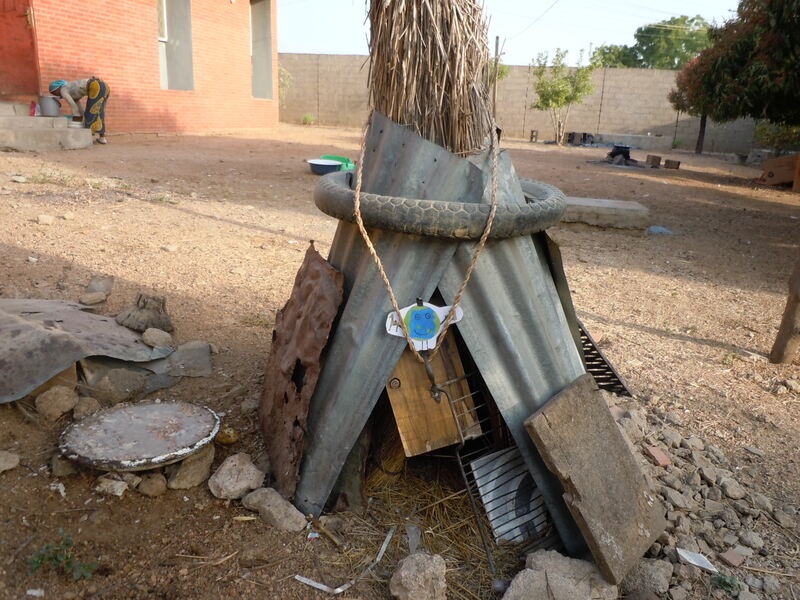 Mr. Globetrotter also visited a typical chicken coop in a village in Nigeria. the chicken spend their nights in a place like this and then spend the day looking around for food. 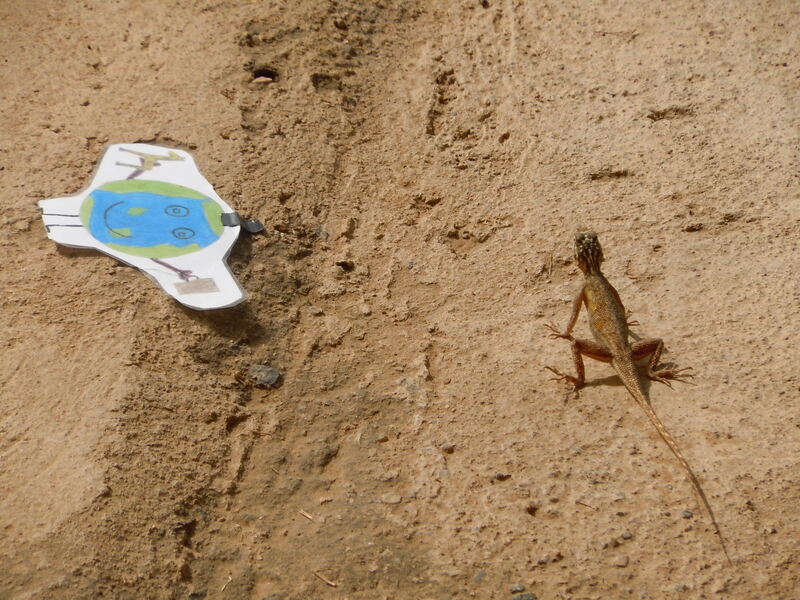 Mr. Globetrotter is visited by a lizard. These are harmless animals that live around human habitations in many Nigerian towns and villages and ordinarily feed on insects such as ants. Mr Globetrotter is shown a typical device for pounding corn into flour. 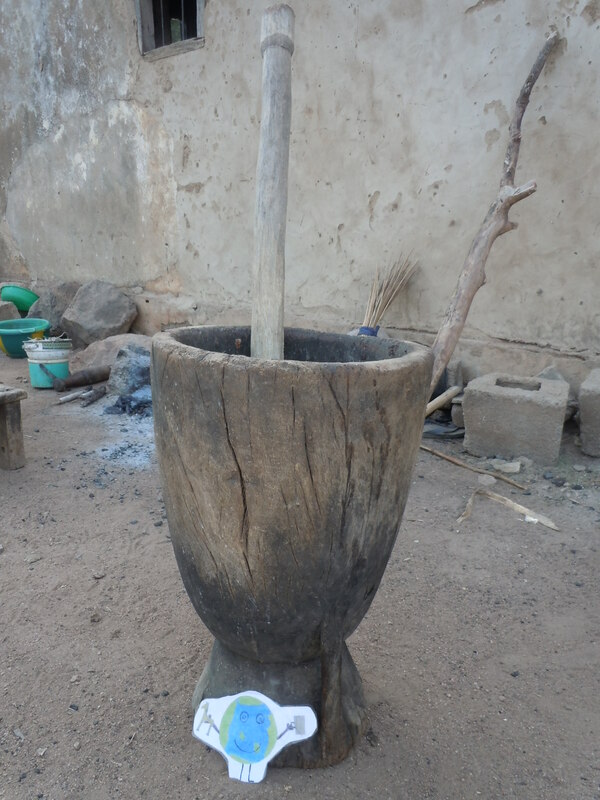 This old device is still used in many African villages. 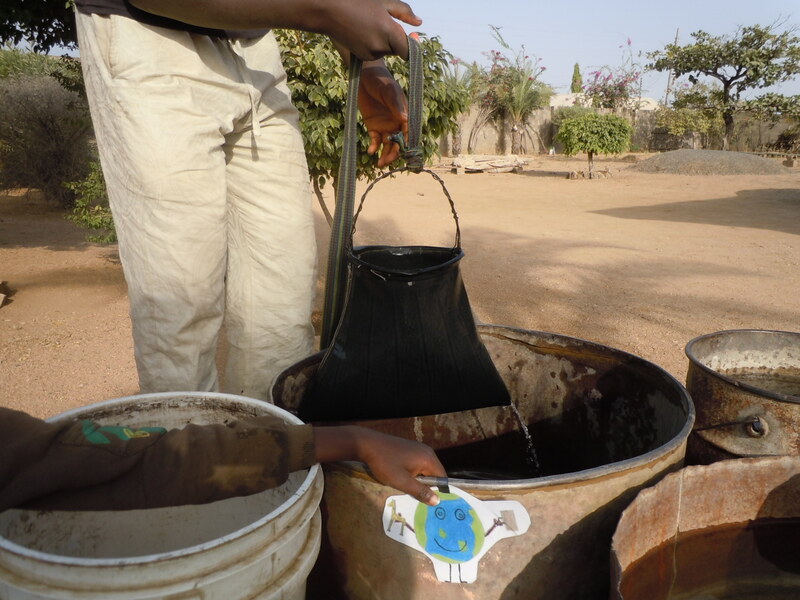 Mr. Globetrotter at a typical water pot. 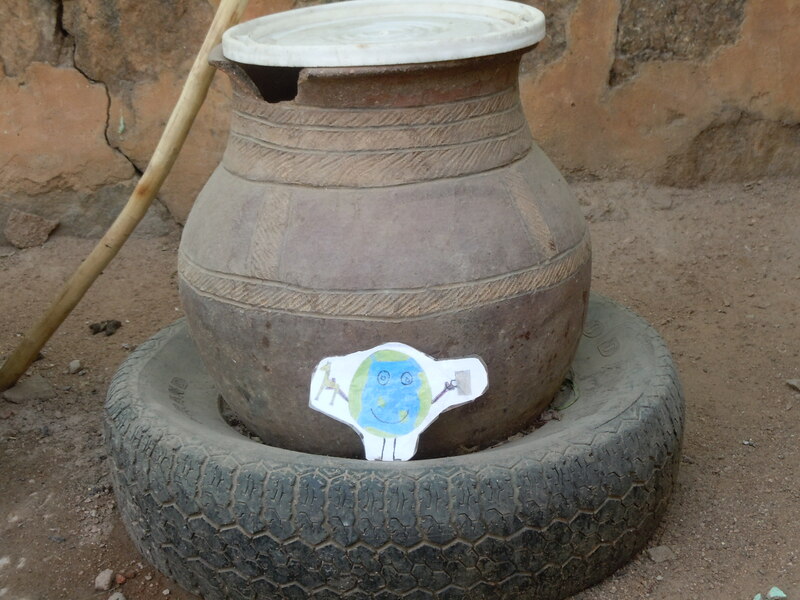 Pots such as these help to keep water cool – nice for drinking in a hot African climate. 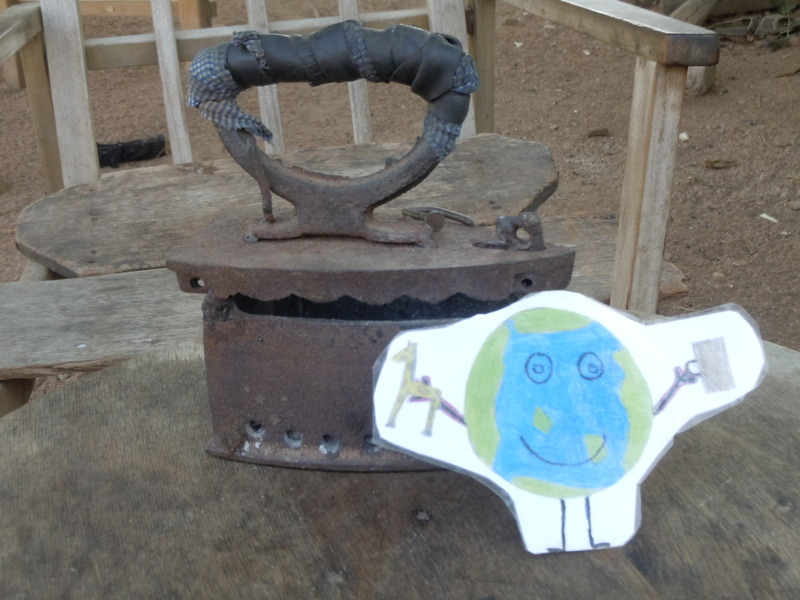 Because of unreliable power supply, many people in Africa still use this old method to press clothing. 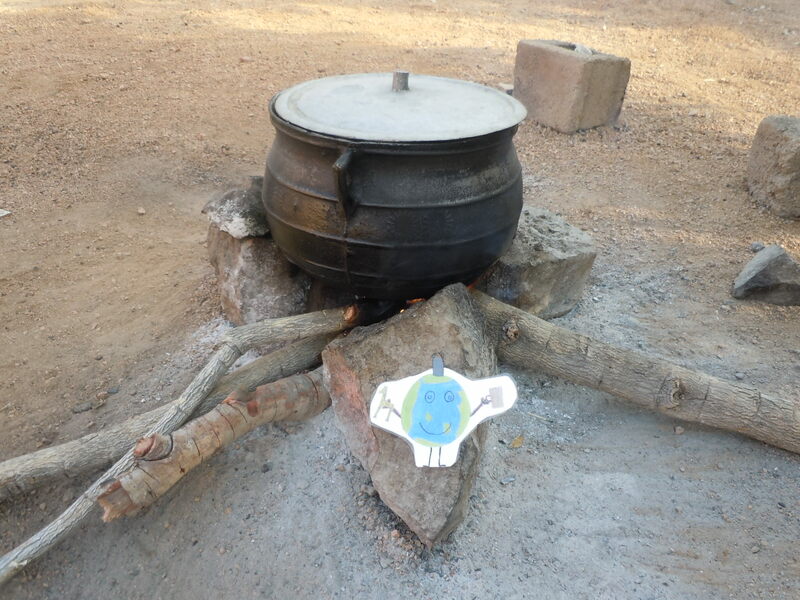 The ‘iron’ as it is called is heated up by making a fire in it using charcoal.